Graphic novelist and writer Neil Gaiman will appear Tuesday, April 19, as part of the Presidential Fellows in the Arts Series, a new initiative of the University’s Arts Planning Council and the Office of the President, which is bringing three artists to campus every academic year for short residencies. The creator of Sandman, Gaiman will engage in a public conversation with Gretchen Helfrich, host of Chicago Public Radio’s daily talk show Odyssey. While tickets for the event have already sold out, a limited number of tickets may become available after 10 a.m. Monday, April 18. Gaiman’s residency is the second in the Presidential Fellows in the Arts Series, a new program that seeks to showcase the vibrant connections between artistic theory and practice taking place at the University and to foster the vitality of the arts in Hyde Park. The program brings to the University a varied roster of distinguished artists from all arts disciplines for short residencies. These include a public presentation as well as a more intimate educational program for University students and faculty, such as a workshop, seminar or master class. Each residency is organized and presented in collaboration with University departments, centers and arts organizations. Last month, the program welcomed its first Presidential Fellow in the Arts, actor, professor and playwright Anna Deavere Smith. Deavere Smith performed her latest work and held a discussion with students in the Center for the Study of Race, Politics and Culture. Gaiman’s residency is being presented in collaboration with the Committee on Creative Writing. During his 20-year career, Gaiman has been one of the top writers in modern comics. The Los Angeles Times called the series “the greatest epic in the history of comic books.” Sandman was introduced in 1988 and ran 75 issues until Gaiman chose to end the story in 1996; at the time it was DC Comics’ best-selling monthly at more than a million copies a year. 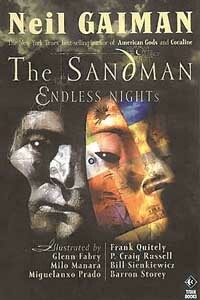 Re-introduced in 2003, the graphic novel Sandman: Endless Nights continues the saga, reaching a wider audience than ever. 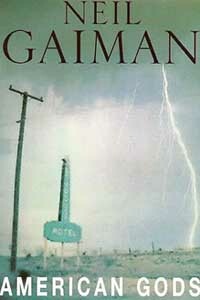 Gaiman also is a movie and television screenwriter, a journalist and a best-selling novelist. 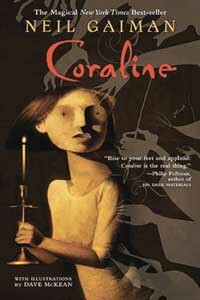 Called by Forbes magazine “the best-selling author you never heard of,” Gaiman has written more than a dozen books, including the internationally best-selling novel American Gods; Neverwhere, which was originally a BBC television series; and Coraline, a young adult novel that debuted on the New York Times’ bestseller list. Gaiman also serves on the board of the Comic Book Legal Defense Fund, an organization that works to protect the First Amendment rights of comic book creators, publishers and retailers. Gaiman’s sold-out talk will begin at 7 p.m. Tuesday, April 19, at Court Theatre, 5535 S. Ellis Ave. Those interested in purchasing tickets that may be released for sale should call the concert office at (773) 702-8080 after 10 a.m. Monday, April 18. Immediately following the presentation, Gaiman will sign books at the Smart Museum of Art, 5550 S. Greenwood Ave., where ticket holders will be able to purchase Gaiman’s work and meet the author.